Operatives of the Lagos State Police Command have arrested Dorcas Adilewa for allegedly faking her kidnap to defraud her father, Taiwo Adilewa. The police also arrested Dorcas’ friend, Ifeoluwa Ogunbanjo, for her alleged involvement in the fraud. Nineteen-year-old Dorcas was said to have conspired with Ogunbanjo to execute the scheme and allegedly demanded N600,000 ransom. The police said Taiwo had received a call from someone who told him that his daughter had been kidnapped and allegedly demanded the N600,000 for her release. Taiwo reportedly informed the police about the kidnap of his daughter. 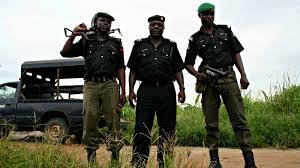 The Lagos State Commissioner of Police, Edgal Imohimi, during a press briefing on Monday, said he ordered the Anti-Kidnapping Unit of the command to investigate the case. He said, “The kidnapper told the father that if he did not want his daughter killed, he should pay a ransom of N600,000 to secure her release. Imohimi said while the search was still ongoing, the alleged fraudsters relocated to Lagos where Dorcas called her father. The CP explained that after she observed that operatives were very close to getting the kidnappers, and in a bid to evade arrest, Dorcas called her father that she had been released. Imohimi said, “The supposed kidnappers relocated to Ikotun in Lagos and the search party also moved to Ikotun to rescue the victim. The CP said Dorcas later confessed to have masterminded the kidnap, adding that she planned the kidnap with her friend, Ogunbanjo, who allegedly provided the hideout. However, Dorcas said she needed the money to pay her school fee. She said, “When the payment of my school fee was delayed, I went to my friend’s (Ogunbanjo) place, where I called my father. But Ogunbanjo said she was not aware of the kidnap plan, adding that she accommodated Dorcas at her parents’ house because Dorcas told her she had escaped from kidnappers. She also said she gave Dorcas her phone to call her father because she said she needed transport fare to go home.